Once a week, Dr. Diana Sylvestre puts her medical expertise to use in a rickety old house frequented by drug users in this small Northern California city. She sets up in a stuffy office no bigger than a walk-in closet, just feet from a room where people who shoot heroin or methamphetamine drop off used needles and pick up clean ones. The needle exchange and Sylvestre's makeshift clinic are under the same roof, part of a program run by the Mendocino County AIDS/Viral Hepatitis Network. Sylvestre comes here in part to treat young drug users, people who are often homeless or suffering from mental illness, many of them newly infected with hepatitis C. She doesn't see many of them at a hepatitis C clinic she runs in Oakland. "They are the ones who are spreading hepatitis C," she said. "They're the ones who have the high-risk behaviors." The opioid addiction crisis has engendered an unfortunate side effect—an epidemic of new hepatitis C infections, mainly among young people who share infected needles. 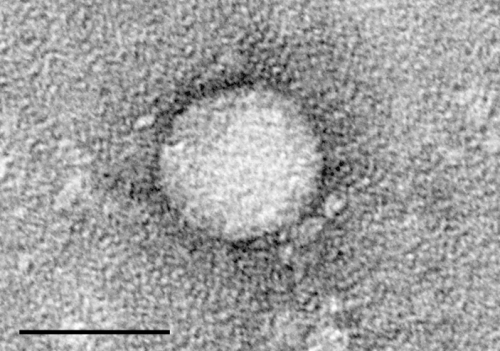 Although people over age 52 still account for the largest share of chronic hepatitis C cases, the highest number of new infections occurs among people in their 20s. The wave of hepatitis C infections among young people is "cause for alarm," said John Ward, the CDC's viral hepatitis director. The agency is studying the best ways to treat this population, he said, adding that a new "front of attack" is needed. Health experts and doctors like Sylvestre say that battle may be best waged outside traditional health care settings, in places frequented by young drug users. Treating young drug users is not easy, Sylvestre said. Their lives are chaotic, which makes it difficult to start or continue their medication. "They're frequently homeless; they have untreated mental illness," she said. "They aren't the most reliable people in the world." The surge in hepatitis C cases among young people doesn't surprise 28-year-old Stephanie Clarizio of San Francisco. She injected heroin for about six years, starting in her home town of Atlanta. Clarizio said many of her friends who used intravenous drugs there knew about the risk of hepatitis C, and many of them contracted the virus. "Everyone kind of knows about it," Clarizio said. "You just don't care." Experts and government officials say they're concerned about the surge among young people, who are more challenging to treat because many of them do not regularly see a doctor. Many people who have been recently infected don't experience symptoms of the viral disease. Left untreated, hepatitis C can cause severe liver damage or cancer later in life. While the baby boomer generation, defined by the CDC as those people born between 1945 and 1965, still accounts for three-quarters of chronic cases, University of California, Berkeley epidemiologist Art Reingold suggests the public health response should target the newly infected population. "The prevention opportunity is much greater" when treating the younger generation, Reingold explained. "If you're working on a group that's already got (75 percent) of the people infected, your opportunity to prevent new infections is much smaller." "We ask for people to think beyond that baby boomer box," Bauer said. Public health organizations "can take their services on the road, so to speak, and they can make an extra effort to reach populations that may be more at risk." Dr. Sylvestre has been doing just that for more than a year. "If they're not going to show up in our medical facilities, we need to go out where they are there," she said. Not all will be ready for treatment, but at least "you can lead them to water," she said. Hepatitis C care falling short for young opioid users in R.I.